This is a remake of a South Korean triumph, but can Scorsese’s version hold its own? One man infiltrates a violent criminal gang as an undercover agent working for the police department; another works for a special crime division to take them down but is supplying the gang with intel to avoid convictions. 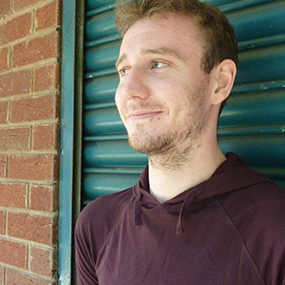 When people start to die and they both realise what’s happening everyone gets suspicious and the stakes rise. Matt Damon and DiCaprio lead the story as the two infiltrators into the police and gang. Damon moves away from his hero and family man characters here offering a hot head dirty cop who is a selfish and ruthless career man. Damon is excellent but it is DiCaprio who takes the film and makes it his own. DiCaprio plays a super smart tough nut, and is seen to dumb down for his role as a rookie henchman. DiCaprio heightens his characters anxiety throughout the film while still maintaining a macho presence and shows the complexity in character he can achieve. 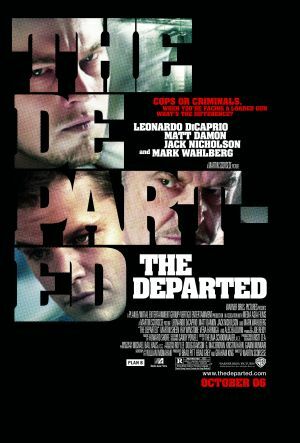 The Departed also welcomes extreme violence but not in the usual Hollywood fashion; there are barely any shootouts, when someone is shot they die soon after and shots to the head quickly end any potential action scene. The butchering gang leader played by Jack Nicholson is the epitome of a violent character, but instead of showing this violence you see him wearing an apron and covered in blood. With so much understated violence the film appears very realistic and gives The Departed a very dark tone. Background characters are fantastically violent and vulgar and much more entertaining than most film’s allow especially with this many characters. Mark Wahlberg offers one of his best performances as a detective who berates all underlings with a foul mouth and Alec Baldwin who attacks another police officer during an operation. Even Ray Winston, who usually gives a decent macho performance, ups his game here as a calm and collected number two to Nicholson’s gang boss. The Departed is a clever, adrenaline packed crime drama, and without the frills of glitzy gunfights it becomes one of the best atmospheric, realistic offerings of the genre.